Rinko Kawauchi transforms the details of daily life into vibrantly intense existential facts. In her highly phenomenological photographs, she scrutinizes things with a gaze so penetrating that, taken together, her images constitute a celebration of life that unavoidably addresses questions of beginnings and death. In Illuminance (2007–2011), she brings out the sensuality of the world through her lens by accentuating the roughness of a wall, the viscosity of a tear, the saturation of a colour; then, simultaneously, she intensifies the light until it exudes from bodies, dazzlingly conveying their invisible energy. By summoning all of our senses, she hopes to stimulate our awareness of our presence in the world. 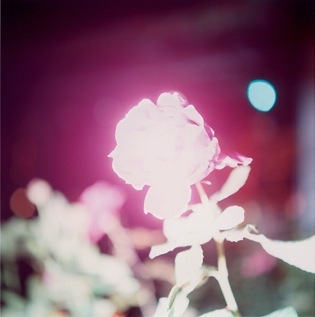 Born in 1972 in Shiga, Japan, Rinko Kawauchi lives and works in Tokyo. With her photographs that transform ordinary details into facts of vibrant intensity, she has quickly become a major figure in contemporary Japanese photography. Her participation in the Rencontres d’Arles in 2004 marked her international début. Since then, she has had almost thirty solo shows throughout the world, including at the Gallery at Hermès, New York (2011), the Museum of Modern Art in São Paulo (2007), the Hasselblad Center in Göteborg, Sweden (2007), the Photographers’ Gallery in London (2006), and the Fondation Cartier pour l’art contemporain in Paris (2005). Her most recent book, Illuminance, was published by Aperture in 2011. Recipient in 2002 of the Rookie of the Year award from the Photographic Society of Japan, in 2009 Kawauchi received the Infinity Annual Award from the International Center of Photography in New York. She is represented by the FOIL GALLERY in Tokyo.